Starting out as a farmer in Dorset, Colin Tizzard delved into his passion for horse racing by transforming part of his successful dairy farm into a professional horse stable. He was born and raised at Venn Farm Stable, where he grew up with experience of fishing, shooting, hunting, and an interest in horse racing. This led him to becoming a member of The Pony Club, seeing early successes as an amateur jockey. Colin Tizzard’s career as a professional horse trainer got underway in 1995, training two horses for his son to ride, and starting in a positive light as he saw eight wins in his opening season. After three years of balancing dairy farming and professional horse training, Colin Tizzard took out a full license with ten horses at Venn Farm Stable. Joe Tizzard has continued to involve himself in his father’s career, working as a jockey with ninety-one wins under his belt before retiring in 2014 to become Colin Tizzard’s assistant. Most horse racing pundits assumed that Colin Tizzard would have to close his dairy farm in order to see genuine glory as a professional horse trainer, but he’s been able to maintain both businesses, finding success in each, with enough organisation to keep both ventures running smoothly. A larger selection of Colin Tizzard horses in training are continuing to become more easily recognised in the sport as each year passes, with more of his horses dominating the UK and Ireland’s most coveted race meetings. Cue Card would be one of his primary success stories, most famously winning the 2010 Champion Bumper as the youngest horse to win the race since 1995. 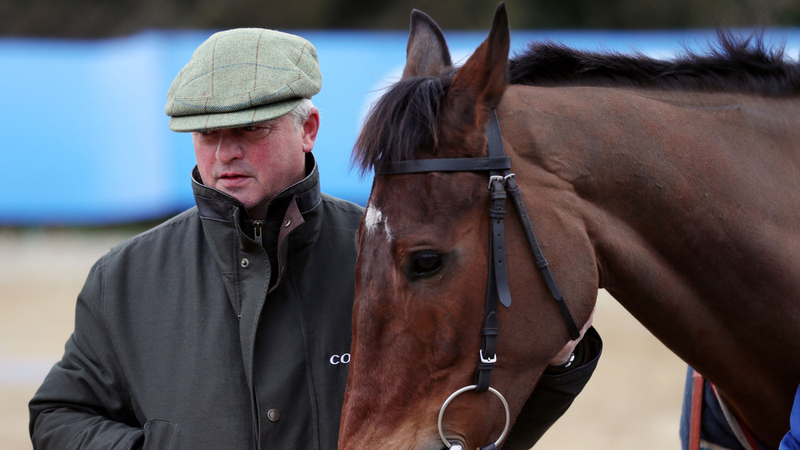 Thistlecrack has also been a major horse for the Colin Tizzard racing team, best known for winning the 2016 Liverpool Stayers’ Hurdle, the 2015 Doom Bar Sefton Novices’ Hurdle, the 2016 Ryanair World Hurdle, and the 2016 32Red King George VI Chase. Currently housing an estimated sixty horses at Venn Farm Stable, Colin Tizzard doesn’t facilitate the number of horses that you’ll find with even more weathered professional horse trainers like Willie Mullins and Nicky Henderson. That being said, most of his horses are known for winning the races they’re entered into, with Native River being a strong example, as he came away with Colin Tizzard’s best win, finishing first in the 2018 Cheltenham Gold Cup. Other notable horses trained by Colin Tizzard include Elegant Escape, Lostintranslation, Kilbriken Storm, White Moon, Vision Des Flos, West Approach, Finian’s Oscar, Sizing Tennessee, and Fox Norton. Always catering to more than fifty horses at any one time, Venn Farm Stable is split between professional horse training and continuing the family dairy farming business put in Colin Tizzard’s control by his parents Leslie and Marjorie. Venn Farm Racing is situated in Milborne Port, where there’s a close proximity between Dorset and Berkshire. The Colin Tizzard horse racing team is always praised as being a family-run business, with his wife Pauline helping out, as well as children Kim and Joe both working as Colin Tizzard’s assistants.